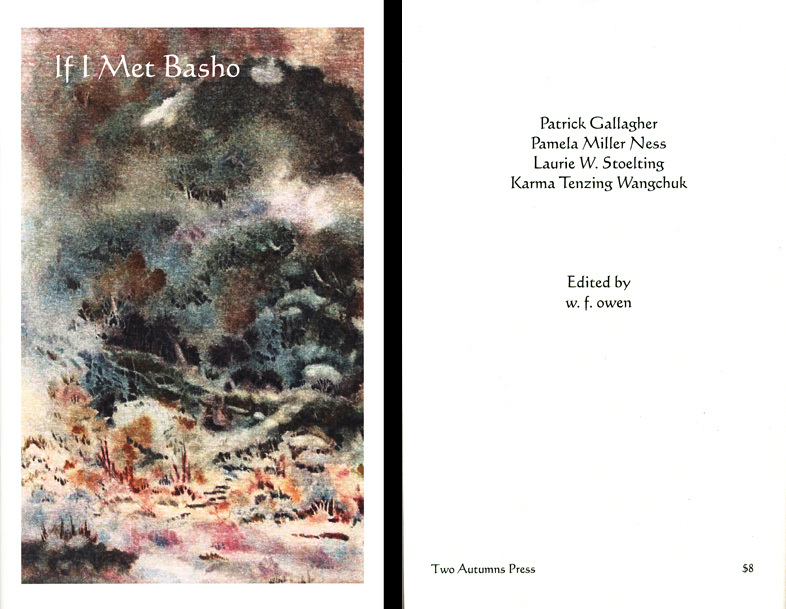 Patrick Gallagher has contributed to many books and publications as an author, poet, editor, designer, or agent. Many of the following publications are available in print, on print-by-demand, or in digital form. The detailed listing pages provide more information on each publication. 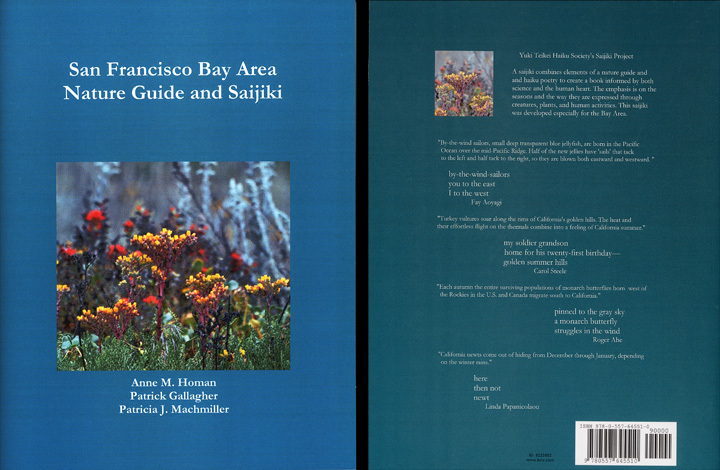 San Francisco Nature Guide and Saijiki edited by Anne M. Homan, Patrick Gallagher, and Patricia J. Machmiller; details here. This book is a guide in prose and poetry for the natural and human worlds of the San Francisco Bay area. Paper bound, 108 pages; Purchase at www.lulu.com for $36.40 or from Yuki Teikei Haiku Society for $30. 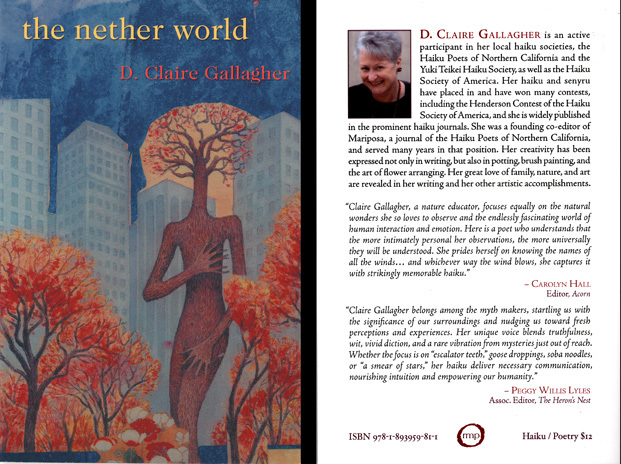 the nether world is a highly praised collection of haiku by the noted poet D. Claire Gallagher; details here.